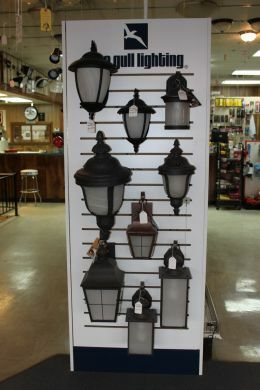 Leonard’s Electric keeps approximately 1200 light fixtures on display in our showrooms, with backup stock for nearly all. Seagull Lighting is our major lighting line and Regency is our main ceiling fan line. We also carry several other lines, including Minka, Hinkley, Trans Globe, & Crystorama. We can meet electrical needs for both residential and commercial projects. We have the expertise to design electrical requirements for any commercial building. With a vast inventory available for immediate delivery and an experienced staff, we are ready to take care of each and every customer. Copyright Leonard's Electrical Suppliers, Inc.© 2019. All Rights Reserved.